The lights are on and the food is hot! The 2019 Florida State Fair is officially underway. Check it out all the action from February 7-18. 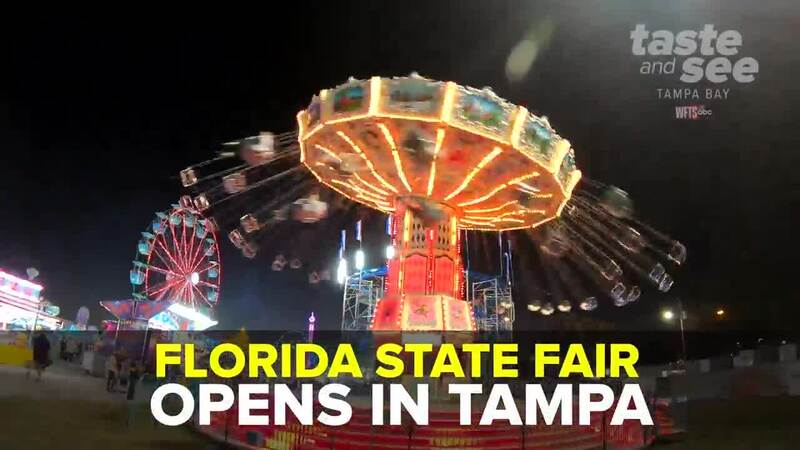 TAMPA, Fla. — The 2019 Florida State Fair will open February 7-18 with plenty of new rides, exhibits and, of course, fair food!